Modesto A. Maidique Campus (MMC), the original home of FIU, takes up 5 blocks between 117th and 107th on Tamiami Trail in West Miami-Dade. Founded on an abandoned airfield, our campus has seen tremendous growth since opening its doors in 1969. Here, you’ll find some of our largest and most recognized schools and colleges. Students can eat, sleep and play without ever leaving MMC. At 342 acres, it's a big campus, so Panther Mover is a free and convenient way to get around. At MMC, life at FIU has never been better. 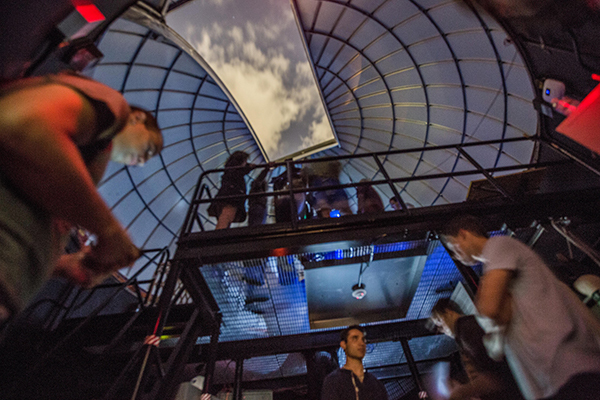 Reaching the stars: The Stocker Astroscience Center takes FIU’s research to the stars. Once per semester, students can see the galaxy firsthand at a Stocker Star Party. Find parking, bike racks, places to eat and more with the interactive campus map. What's better than the real thing? Schedule a campus tour and reserve a space.